In the course of a successful company’s lifespan, expansions are inevitable, whether in the form of moving to a larger office, hiring more employees, relying on a larger marketing firm or in the case of web technology, upgrading your website host server. While many emerging or mid-size companies establish their online presence with a shared web hosting service (where space and expense of the host are shared among users), as a company experiences continued success and growth, it may no longer be able to effectively operate within the limitations of this original hosting service. The natural transition for most companies that reach this stage is to turn to a virtual private server (VPS), a virtual machine that runs a copy of its own operating system (or several). Similar to a dedicated server, a virtual server allows for individual use of an operating system; the only difference being that the system runs on a machine that houses others systems, used by other companies. This is why VPS hosts are also sometimes referred to as Virtual Dedicated Servers. If you’ve determined that a VPS will best accommodate your company’s growth, consider the following essential questions about virtual private servers to ensure you end up with a provider that meets your needs and expectations. 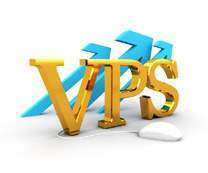 As you embark on your search for a VPS host, ask yourself, which will I love more? A Windows or Linux operating system? These two OS powerhouses are the most prevalent options for VPS servers and quite frankly, are pretty similar in general function and performance. But this doesn’t mean you should pick one over the other at random. Your company’s on the way to building an empire, remember? So consider this: a Linux OS will probably be cheaper because it’s open source (you only have to pay for additional support options), works well with a variety of programming languages, gives a substantial degree of control, includes cPanel and has options for things like Debian and CentOS. In addition, Linux operating systems should be used when developing a site in the PHP scripting language. On the other hand, for DOT NET software framework, you’ll need to turn to a Windows OS rather than a Linux OS. Windows OS is also a better choice for those with less technical experience, as it requires less IT savvy from users, and is great for MS SQL databases, includes regular updates and support from Microsoft, and has an easy-to-use interface. Keep in mind that a Windows OS can cost up to $450, depending on the version needed. As there are two main choices between operating systems on a VPS, so too are there two choices for the type of server management: managed or unmanaged. If your company would describe itself as little to moderately technically inclined, or employs IT wizards but would rather focus their genius on other company tasks, a managed server is definitely the right choice. Service from a managed VPS includes automatic updates and installments, monitoring of usage, disk space and security threats, and more. Keep in mind though that while this offers convenience, you’ll want to be sure your provider is flexible and that the cost of management is reasonable. If you’re ready to take on the responsibility of maintaining the VPS yourself, you guessed it-an unmanaged server is your best bet. Let us underscore the fact that this does require extensive IT knowledge, but if your company has this and is willing to dedicate the time to maintenance, you’ll benefit from lower costs, full administration control, flexibility for upgrades at your will and the ability to change the size of your hard drive. How much server RAM/Bandwidth will I get? We suggest comparing features like RAM and bandwidth among VPS providers in addition to comparisons of operating systems and management. Your company should have an idea of its current RAM and bandwidth usage, but make sure you pick a server with capacities that take into account your projected growth (and then some). Research the RAM and bandwidth needs of other companies with comparable web traffic/resources and look for a VPS that offers scalability (in this case, being able to increase the amount of RAM or bandwidth in the future). Save yourself the headache of wasting money on a service that isn’t living up to your expectations! Before choosing a VPS provider, rely on ratings from PickUpHost to conduct a simple, customizable comparison of top VPS server providers based on price and other preferences. Our ratings are complete with objective, detailed reviews of each provider; you’ll be able to find the most cost-effective and reliable service in no time. Interested in learning more or ready to start your VPS search? Check out our entire list of VPS hosting provider comparison, or contact one of our friendly customer service representatives with any questions you may have.